It's been a very busy and exciting week, so sorry I've been MIA. We've been rubbing elbows with football legends, exploring a new city, meeting HRH Prince Harry, catching some live games and showing my folks around. It's pretty bananas how famous footballers are just wandering around in Rio and how easy it is to cross their paths. Such was Hub's luck a couple of weeks ago when he met Patrick Vieira and Fabio Cannavaro at the Caesar Park Hotel. They loved the idea behind the Street Child World Cup and wanted to help. So Hub organized a friendly game between these guys and the kids from SCWC's partner Favela Street. 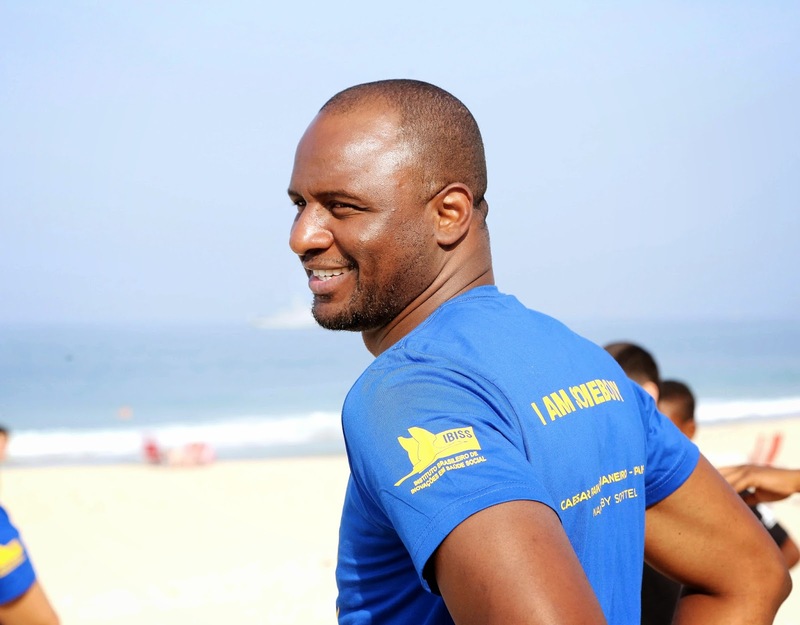 It was fantastic because Patrick Vieira and Fabio Cannavaro sat down with the kids and listened to what they had to say. Then they played a hilarious match in the sand, teasing the kids, tripping them up and having a good laugh. We tried our best to show my mom and step-dad around Rio while also catching every single World Cup match. We took them to favela Vidigal and on our way down we discovered a quirky lounge called Bar & Brexo Quebra Galho. 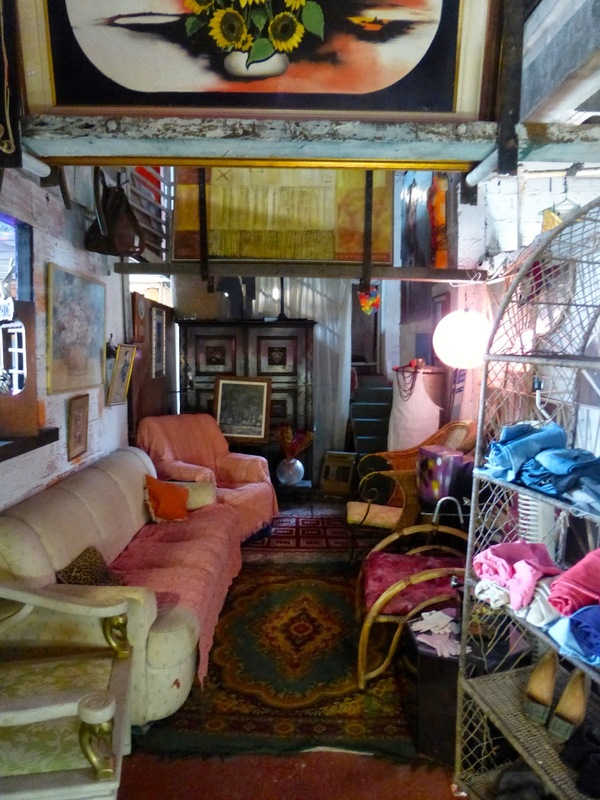 The owner Helena was a character and she basically converted her home into this vintage shop and lounge. I loved that she put it together herself and that it was different to any other bar I've seen in Rio. We also took my folks to a famous buteco bar in Santa Teresa called Bar do Mineiro to watch Algeria vs Bosnia Herzegovina. The food was tasty and the people very drunk. 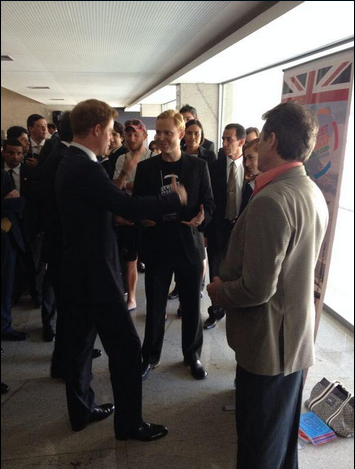 Last Monday we flew to Belo Horizonte to meet Prince Harry and watch England's final game against Costa Rica. I loved Belo. It felt bigger, modern and more cosmopolitan than Rio. HRH was doing a "This is Great Britain" press junket and we were invited by the British Consulate. I was pretty excited and Prince Harry cracked a few jokes with Hub and those around us. We were told not to take photos and so I didn't, but everyone in the room was. So once HRH left us, I took a few shots. We then dashed off to catch our game. 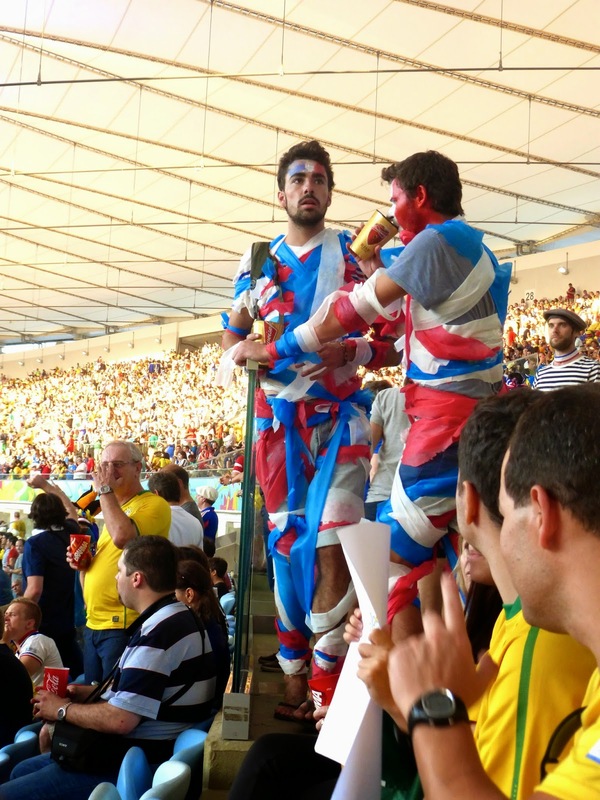 At times I'm baffled by what fans wear sometimes. It was so hot...I mean why? After the game finished England came over to where the majority of their fans were sitting, thanked them and then bowed out. The fans were chanting with enthusiasm, but it was sad. I flew back to Rio the following day and went to France vs. Ecuador at the Maracanã with my friend Julie. The energy on our way to the stadium was amazing, such a contrast to England vs. Costa Rica which essentially was an insignificant game. It was awesome even if there were no goals. The end.